London Elementary is proud to be one of the smallest schools in the Russellville School District. It is comprised of approximately 145 students from the London area as well as the Russellville area and surrounding communities. The average class size is 16 students. The small size allows the staff to provide a unique family atmosphere and targeted instruction based on the individual needs of every student. In 2016-17, London Elementary received a recognition reward from the Arkansas Department of Education for being in the top 6-10% of performing schools in the state of Arkansas. London Elementary offers an after-school program every day from 3:30 to 6:00 p.m. in the gym. This program is coordinated through the Boys and Girls Club and is exclusively for London Elementary K-4 students. Each afternoon, students in the program are provided with a snack, homework time, and supervised activities. 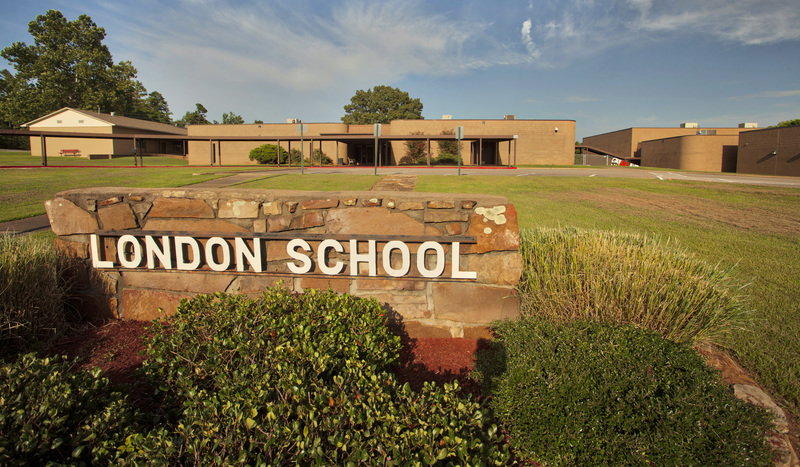 London Elementary houses the third and fourth-grade Gifted and Talented program for the Russellville School District. GT students across the district come to London one day a week to attend GT classes. The staff at London has high academic expectations and is committed to providing the very best educational experience for our students. Our teachers provide students with an enriched curriculum, engaging all students in rigorous hands-on learning activities. We build upon each child's strengths and interests while supporting each child's individual needs. In addition to our strong emphasis on academics, we go beyond that and focus on the whole child, developing positive relationships and fostering the social and emotional development of our students. We believe that parental involvement is a key element to student success. Our Parent Center has games, books, e-books, and activities that can be checked out to work with your child at home. London Elementary has an active and supportive Parent Teacher Association. Because of their fundraising efforts and resources, our students and teachers are provided with many experiences, supplemental classroom materials, and technology to enhance learning. Our motto is "London Elementary...Excelling every day in every way. We do just that! We are proud of where we are and where we are going. We extend a welcome for all to come and visit our school. The London Elementary learning community provides all students with a well-planned, well-balanced curriculum, a safe and responsive learning environment, and skills necessary to succeed. London Elementary... Excelling every day in every way!